So, who was Vikki Dougan? Well, here’s her backstory (apols, I couldn’t resist). 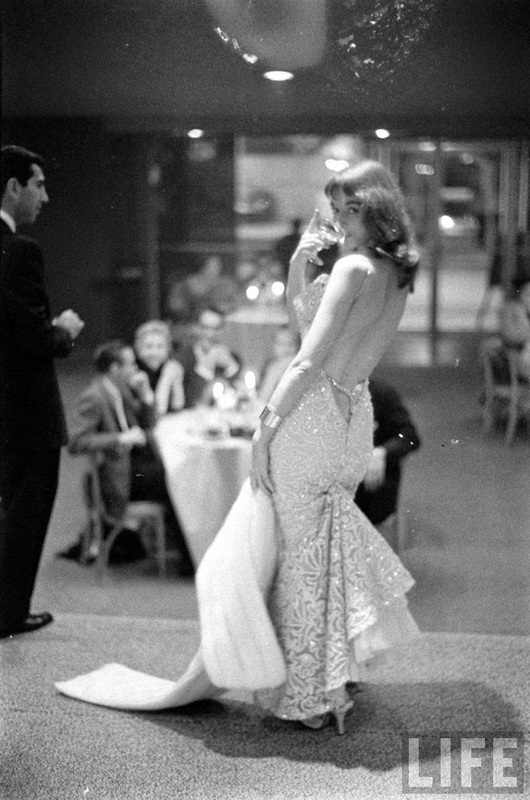 Vikki Dougan’s real name was Edith Tooker. Goodness knows why she didn’t stick with her original name but there you go. Born in New York in 1929 to parents Wilber and Mary (nee Dougan) Tooker, she began modelling at an early age. Aged 16, she won a modelling contest but was later disqualified for being underage. Dougan became a successful model advertising cosmetics and cigarettes, while she attempted to carve out a career as an actress. Soon after the birth of her daughter Debbie in 1950, her husband reportedly walked out on her, with divorce granted in 1952. 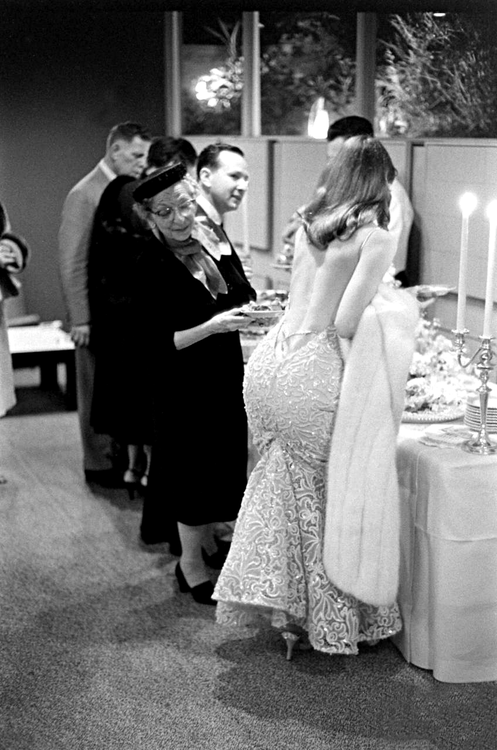 The following year, the ambitious Dougan became famous overnight when a rather clever publicist chap had the inspired idea for her to wear outrageously low-cut backless dresses to Hollywood parties. With her backbone exposed from stem to stern, photographers were smitten, drawing attention away from the likes of Jayne Mansfield and Marilyn Monroe, who were perhaps more known for their plunging necklines. Dougan’s daring bare back made headlines, shocking 'respectable' Hollywood society. 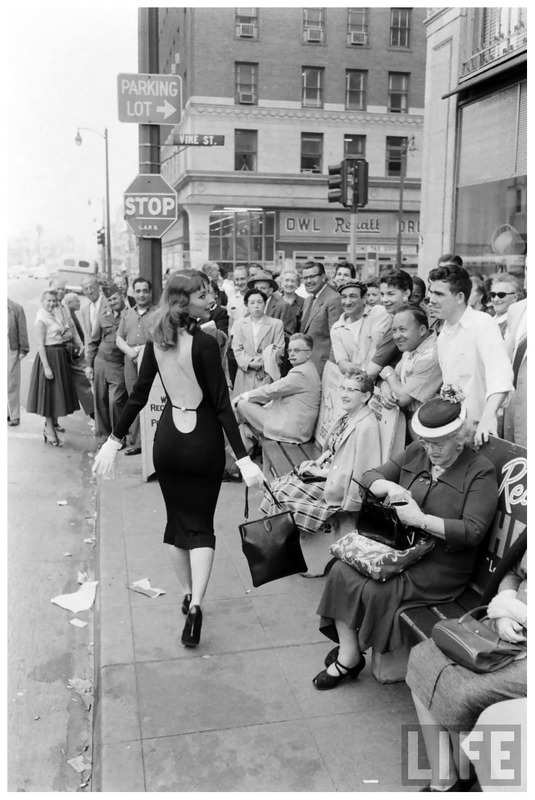 Unfortunately, Vikki Dougan didn’t manage to achieve the same level of fame and fortune that Liz Hurley enjoyed. That’s not to say that Dougan didn’t have an impact of course. She graced the cover of 1953’s Life Magazine, had small roles in around ten films and was even immortalised in a 1961 song by The Limelighters, with the reference ‘turn your back on me’. Dougan also got rather chummy with a certain Frank Sinatra. It has been reported elsewhere that Miss Dougan’s curvaceous coccyx inspired every man’s favourite animated infatuation, the one-and-only Jessica Rabbit. I must say that I think this is highly unlikely but if it helps to raise awareness of ‘The Back’, then who am I to argue? While you’re here, why don’t you cast your eye some of my other Smouldering Sirens? Namely Grace Kelly, Marilyn Monroe, Dita Von Teese, Bettie Page and Diana Rigg.